Merchant account needs are ever increasing as the internet grows. 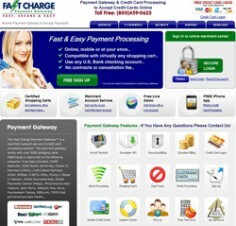 For businesses with a U.S. based bank account and U.S. address, fastcharge.com is one option. The payment gateway offers the ability to process charges online, from a mobile device, or at a physical store location using their virtual terminal. Fast Charge Payment Gateway has been providing business both online and off with their secure merchant accounts for over 12 years. Because of this vast experience, they are able to provide excellent customer support from the set up and integration of your shopping cart right up to any issues experienced when processing cards. One of the strengths of Fast Charge is their experience dealing with rebilling, making them very useful for membership websites, subscription based services, and any type of recurring donations. Fast Charge is also very economical, making it a good choice for online merchants. There are no setup or support fees, transactions fees are just $0.10 and the monthly gateway fee is just $10.00. 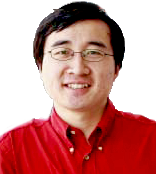 In addition, they provide free fraud protection for account holders.